A Prince George’s County man was recently sentenced to just over ten years in prison followed by three years of probation for robbing a fast food restaurant in Hyattsville. The sentencing occurred last week at the United States District Court of Maryland in Greenbelt after the man pled guilty back in December. According to facts stated in the plea agreement the defendant, who was once an employee at the restaurant, entered wearing a hooded sweatshirt and a mask of the popular Marvel Comics superhero Iron Man. Upon entering the restaurant the masked robber brandished a revolver type handgun at one of the store employees and demanded access to the safe. After realizing the employee did not have access to the safe the robber could have fled the scene, but instead hid behind a wall and waited for the manager to return. The defendant later used his gun to corral the manager and other employees into the manager’s office, where he stole cash from the safe and then from a register on his way out. Before leaving the restaurant the defendant also sprayed and lit lighter fluid on the wall and floor, and fired multiple rounds from his revolver that struck the building. Prince George’s County Police were alerted to the scene during the robbery and located the defendant as he was attempting to flee in his vehicle. Rather than surrender, the masked robber led cops on a high speed chase. The chase did not last long, as the defendant eventually stopped his vehicle and was taken into custody without any further violence. Police ultimately recovered and entered into evidence over $2,000 cash and a revolver with three live rounds and three spent cartridges. The defendant was charged with numerous offenses, but ultimately pled guilty to robbery and using, brandishing and discharging a firearm. The plea agreement called for a sentence of between 121 months and 14 years prison under the federal guidelines, and the judge ended up going with the lower end. While this case certainly had some terrible facts, the defense probably provided mitigation to offer to the judge on sentencing. It does not appear that the defendant has a prior criminal record in Maryland, and there may have been some mental health issues involved with the case, as the defendant apparently decided to rob the restaurant because he was upset over being fired. The robbery actually occurred on Christmas Eve of 2014, which is a relatively long period of time for a case of this magnitude. There are several reasons why a case that seems open and shut could last over two years. Cases where the defendant has or is suspected to have a mental health disorder often taken longer to settle due to the need for professional evaluations and treatment prior to plea or trial. Despite an arrest by county officers, this particular case did not appear to originate in state court before the feds took over. Some cases, especially cases involving robbery and firearm use, are filed in state court and then later dismissed and refiled in federal court. This process can cause delays, although a 2+ year gap between arrest and sentencing is still high. 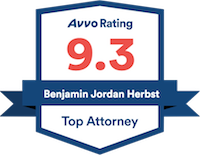 Benjamin Herbst is a state and federal criminal defense lawyer that handles all types of cases including armed robbery and gun charges. If you or a loved one has been arrested or charged with an offense in Maryland contact Benjamin today for a free consultation. Armed Robber Sentenced to Over 10 Years in Federal Prison for Violent Fast Food Restaurant Robbery, justice.gov.